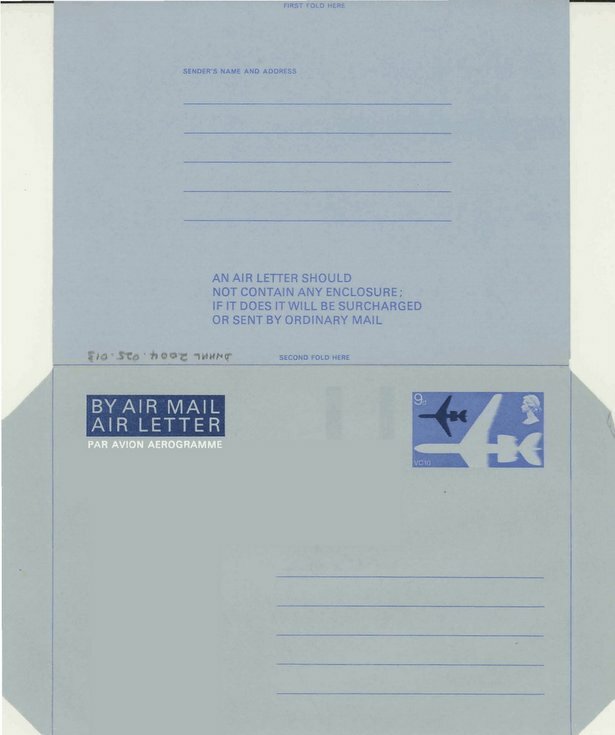 Blank GPO air letter with printed 9d stamp. This was in the old Dornoch post office while it was used as a tourist and admin. office by the Highlands of Scotland Tourist Board.